It’s important to protect yourself from the sun when you’re enjoying all your summertime activities, but let’s face it — you’re probably still going to end up with a tan. One of the best accessories to go with your summertime glow is a gorgeous smile; white teeth look especially radiant against the backdrop of sun kissed skin. But what if your chompers aren’t as bright as you’d like them to be? Your local cosmetic dentist offers professional teeth whitening in Ware. Let’s say you’re thinking of giving your smile a major boost. You walk into your dentist’s office and ask what cosmetic options are available. Your dentist then starts talking about porcelain veneers in Ware and how they would be a great option for your smile. You look back puzzled. “Isn’t porcelain fragile?” You ask. 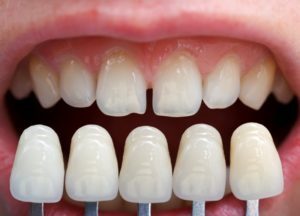 Your dentist gets this question often, so she thought she would go into more detail on why she uses a seemingly “fragile” material for covering teeth. 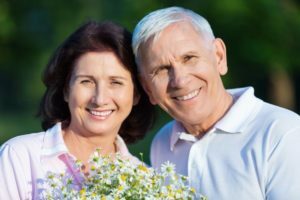 How Important Is It to Really Care for Dental Implants? If you’ve been missing some of your teeth for a while, you and your dentist have probably discussed getting dental implants. You may have had questions about what they are and how they are placed, but have you wondered about the correct way to maintain them once they are in your mouth? In this week’s blog post, we will be exploring the best ways to take care of your dental implants once they have replaced your missing teeth. Comments Off on How Important Is It to Really Care for Dental Implants? Welcome to the Dhillon Family & Cosmetic Dentistry blog. 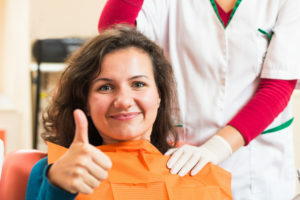 On this page, your Ware dentist and dental care team will provide information for patients about all of their dental treatment options and the variety of services offered by Navkiran Dhillon, DMD and her caring dentistry team. If you live in Ware or one of our surrounding communities, we invite you to call our office to learn more or schedule your appointment with us. We look forward to helping you with all your oral health and hygiene needs. Comments Off on Visit Your Ware Dentist!